Too many people forget that your skin is an organ, and just like any other organ in your body it can get sick. It also requires regular treatment and maintenance. Just like you make sure to brush your teeth, to take your vitamins, and to eat a healthy diet to preserve the health of your internal organs, you also need to take steps to keep your skin healthy. Everyone’s skin is different. Some people have an easy time taking care of their skin, and others need to take steps every day to prevent their skin from becoming too dry or too oily. Just like everyone’s skin is different, so too the skin on your face and your body require different types of care. Rashes and skin diseases can develop for a long list of different reasons, and the best way to keep your skin healthy is to take regular preventative care by developing a daily routine. Caring for your Skin: Rash or Skin Disease? Rashes develop as a result of contact with something that causes an allergic reaction. However, not all blemishes are the result of a rash. Skin diseases are the result of another chronic illness in the body, such as is the case with many autoimmune disorders. In other situations, skin diseases will develop on their own. When a rash develops as a result of a skin disease it is not going to go away on its own, and it likely isn’t going to be easily resolved with over-the-counter creams. 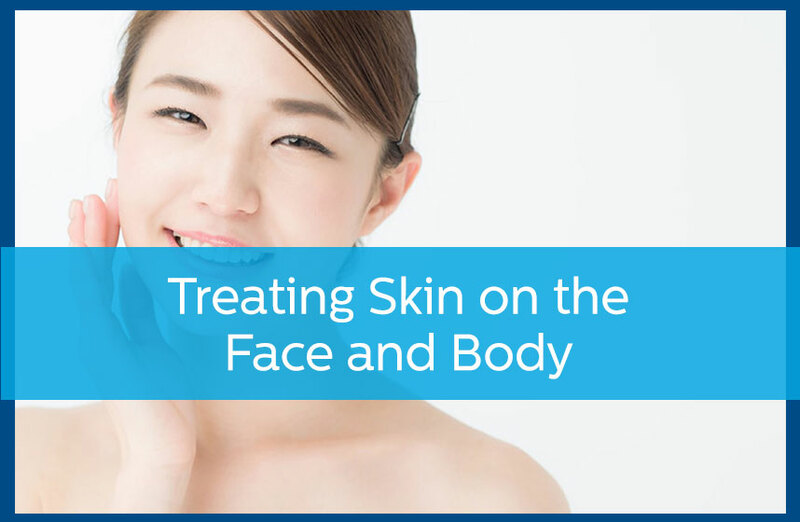 Instead, it is necessary to have the rash analyzed by a certified dermatologist who can prescribe the proper ointment to hopefully alleviate the rash and return the skin on your face and body to normal. When you are treating a rash, as the result of an allergy or a skin disease, it is important to ensure that you opt for a treatment that is designed for that part of the body. There are many creams and ointments that can provide relief from itchiness or pain, but are not designed for use on the face. One of the most common forms of skin disease frequently develops on the face, but can also develop across the body. You’ve probably heard of acne before, as this is something that just about every pubescent teenager experiences. Unfortunately, many people don’t associate acne as being a type of disease, and attempt to ride out the years of puberty without getting any treatment. Acne causes blemishes, commonly called pimples, to appear on the skin. Though typically found on the face, acne can develop anywhere on the body. It is drawn to oily pores, and can sometimes be prevented with general cleanliness routines, but really requires medical intervention for proper treatment. To have your skin looking its best, consult with a dermatologist today. Schedule a consultation with Avail Dermatology by calling 770-251-5111.